GoogleVis 0.5.1 was released on CRAN yesterday. gvisCalendar and gvisTimeline to support the new Google charts of the same names (without ‘gvis’). All googleVis output will be displayed in your default browser. In previous versions of googleVis output could also be viewed in the preview pane of RStudio. This feature is no longer available with the current version of RStudio, but is likely to be introduced again with the release of RStudio version 0.99 or higher. 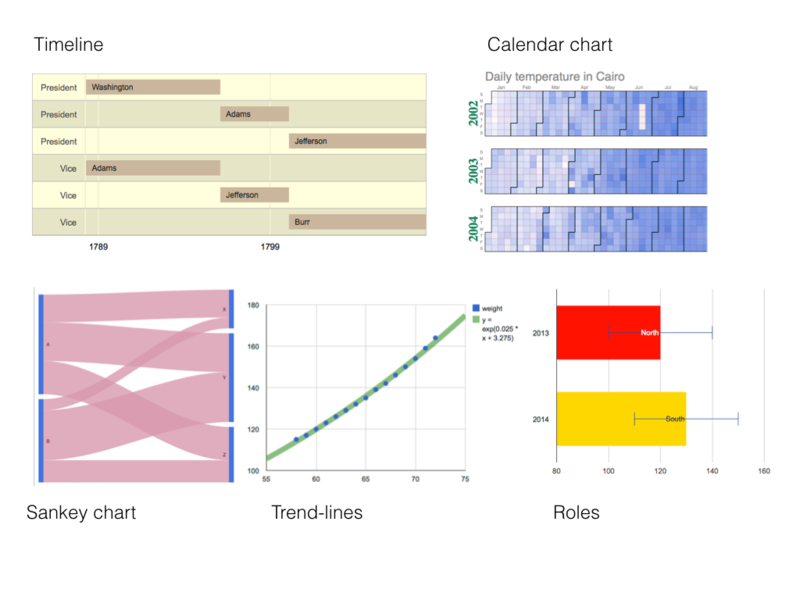 I will discuss the new features in more detail at the R user group meetings in Tokyo this Thursday and in Cologne, 23 May.